It’s very easy to convert WMV to FLV on Mac (including Mac OS X 10.6 and later) with the help of WMV converter for Mac or WMV to FLV converter for Mac. Read the post carefully to learn how to convert WMV to FLV on Mac. 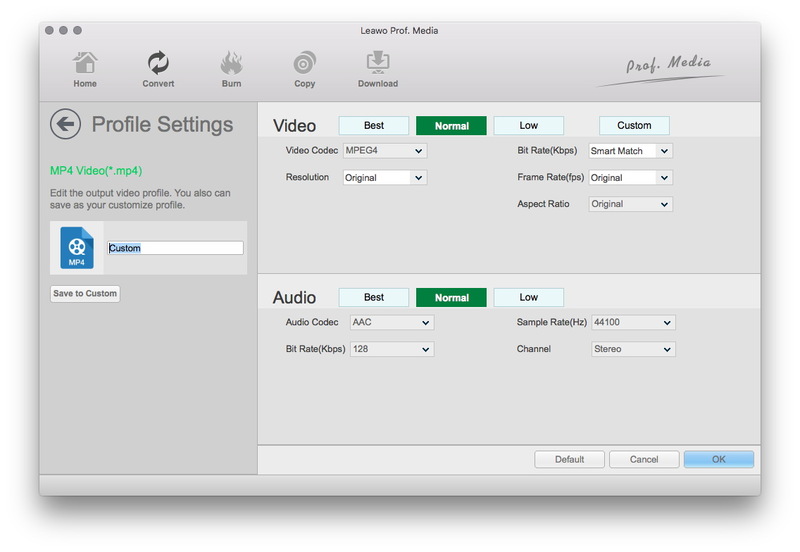 Leawo Video Converter for Mac is a professional Mac WMV converter that can convert WMV to FLV. This Video Converter could act as WMV converter for Mac to convert WMV to FLV on Mac with a single click, and it supports conversion in batch and video/audio parameters adjustment. In addition, it also supports video and audio conversions between various video and audio formats like MP4, AVI, WMV, FLV, MOV, 3GP, MP3, AAC, WMA, etc. With this Video Converter, you could not only convert WMV to FLV for sharing on YouTube or Facebook, but also convert various videos between formats like AVI, MKV, MOV, etc. 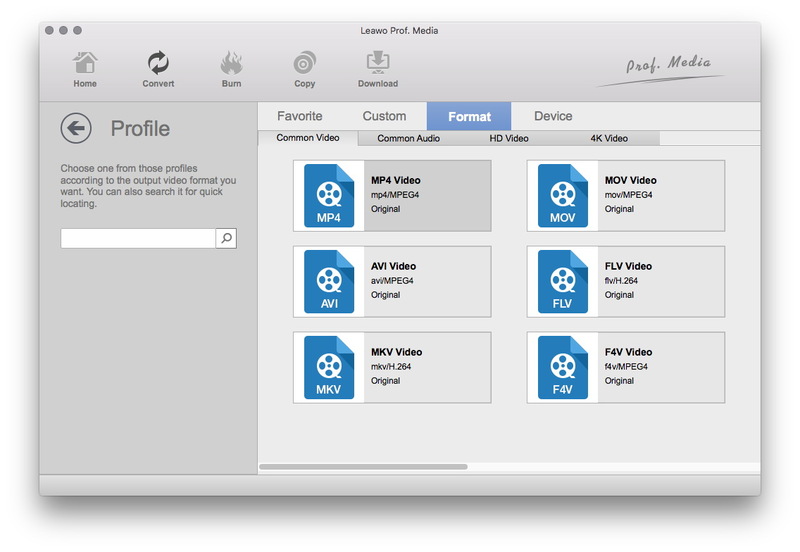 Before WMV to FLV conversion, you should download and install Leawo Video Converter for Mac on your Mac. 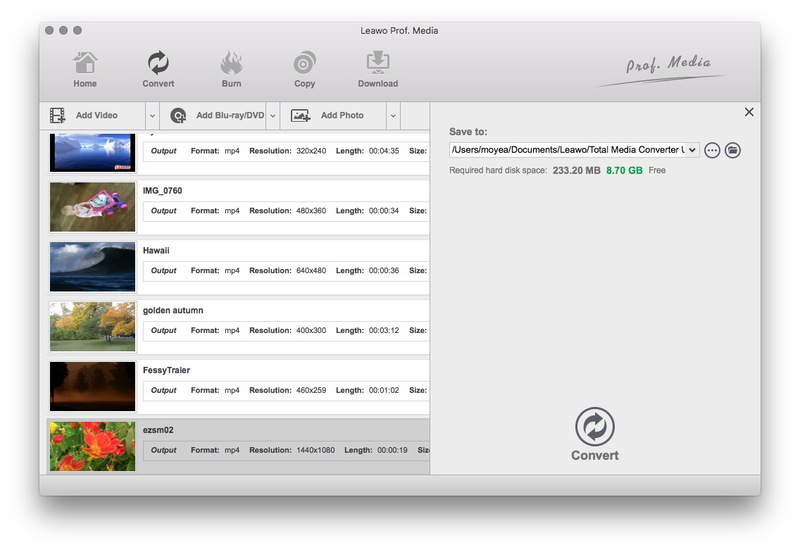 After the installation of Leawo Video Converter for Mac, launch it to enter the main interface, and under the “Convert” module, click the “Add Video” button or directlry drag source WMV videos that you’ve stored on your Mac into for this Mac WMV to FLV converter. You could get all information on the left processing list, import multiple WMV videos for batch WMV to FLV conversion, edit loaded WMV videos, add 3D effect, etc. After importing source WMV files, click the drop-down box right before the big green “Convert” button and then select “Change” option on the drop-down panel to enter the Profile window for output format setting. Open “Format > Common Video” group to select FLV as output format. Optional: If you’re not satisfied with the video and audio parameters of preset FLV format like video codec, bit rate, aspect ratio, quality, frame rate, audio codec, audio quality, audio bit rate, sample rate and channel, you could reset them. After setting output format, re-open the drop-down box and then select “Edit” option to enter the Profile Settings panel. On the Profile Setting panel, you could freely set the parameters. To save your time, you could check “Apply to all” option to apply selected FLV as output format of all loaded WMV videos. Finally, click the bottom “Convert” button of the sidebar to start converting WMV to FLV on Mac. In addition to Leawo Video Converter for Mac, you can turn to Clone2Go Video Converter for Mac for converting WMV to FLV on Mac. 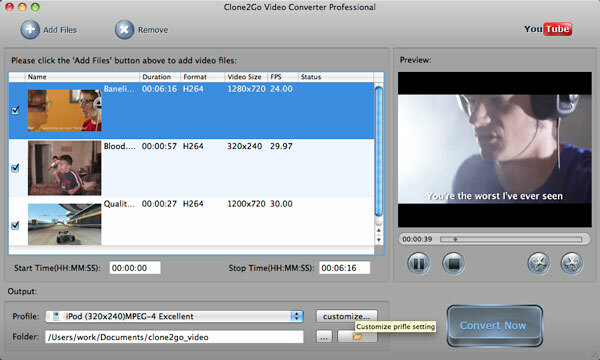 Download, install and launch Clone2Go Mac WMV Converter, and click “Add Files” button on the sub-menu to import source WMV files. After the importing of source WMV, click “Profile” drop-down list to choose FLV as the output format. At the same time, you can specify output folder as well. When all settings are done, click the “Convert Now” button to start to convert WMV to FLV on Mac. When the conversion is finished, you could then do as you usually do to upload the converted WMV files to YouTube, Facebook, Myspace, etc. for sharing. Note: If you are Windows users, you can also use Leawo Video Converter to convert WMV to FLV on Windows with WMV to FLV Converter. Since these 2 solutions can help you successfully achieve the aim of converting WMV to FLV on Mac, you may be wondering which one is better. 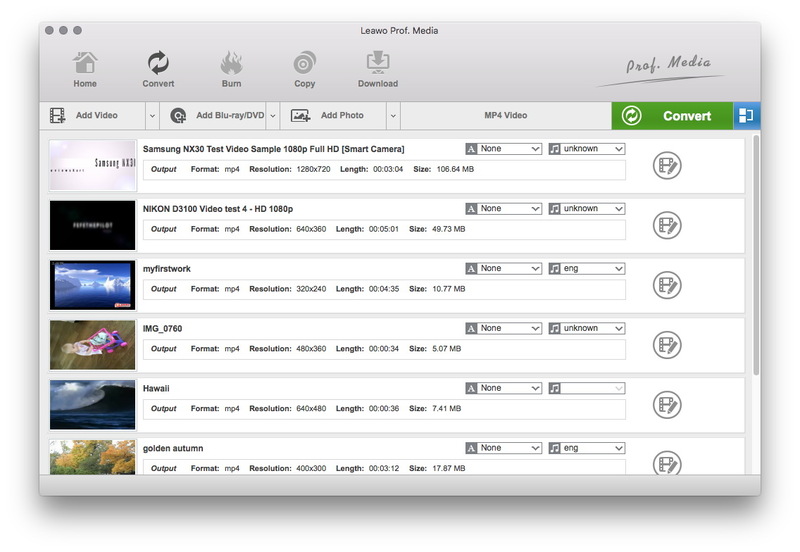 Therefore, a comparison between Leawo Video Converter for Mac and Clone2Go Video Converter for Mac is conducted below. You can choose the one that better suits your personal requirement. Video: AVI, WMV, ASF, MOV, MP4, 3GP, M4V, RMVB, FLV, MKV, MPG, VOB, etc.